Christopher Zacca (left), President and CEO of Sagicor Group Jamaica and Mauricio Pulido, CEO of GB Energy Texaco shake hands following the signing of a new lease agreement for the establishment of a gas station at the Millennium Mall in Mineral Heights, Clarendon. 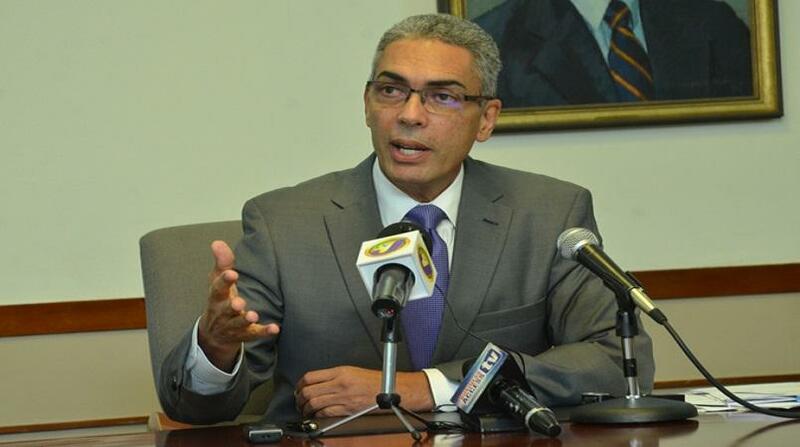 Sharing in the moment are other executives of Sagicor and GB Energy Texaco. 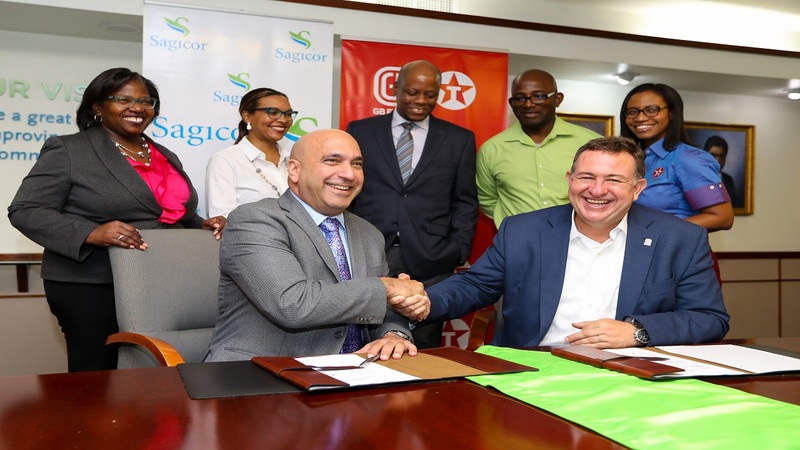 Sagicor Group recently signed a deal with GB Energy Texaco for the establishment of a gas station at the Millennium Mall in Mineral Heights, Clarendon. 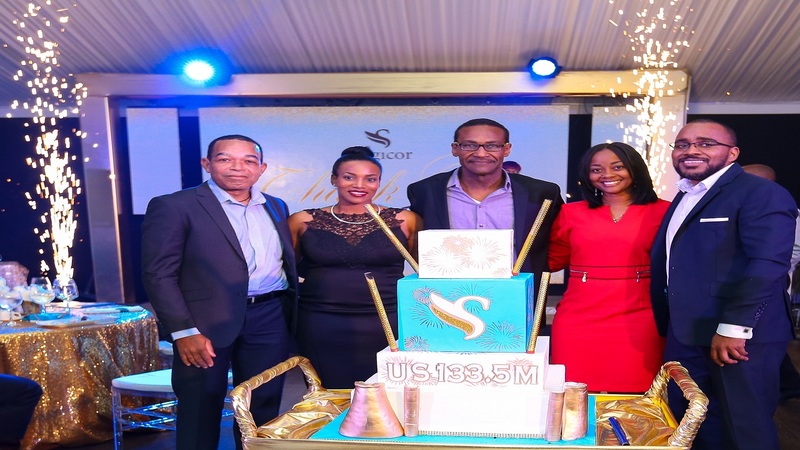 The 21-acre commercial property that is being managed by Sagicor Property Services is expected to host a supermarket, pharmacy, hardware store and retail shops. 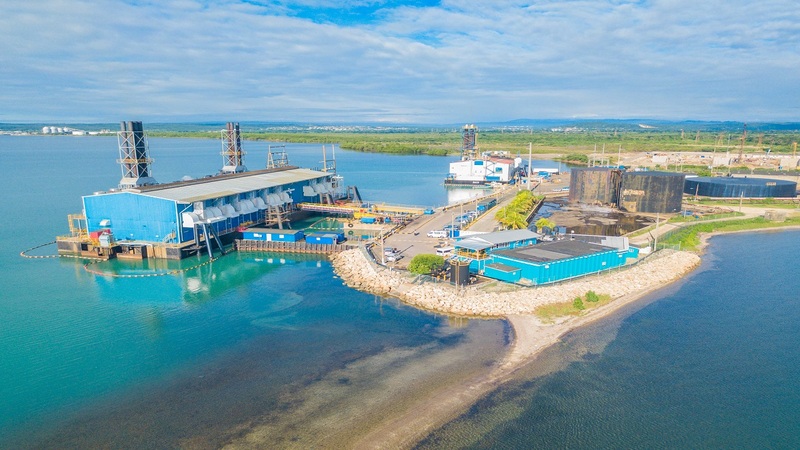 Christopher Zacca, President and CEO of Sagicor Group Jamaica and Mauricio Pulido, CEO of GB Energy Texaco finalised the lease agreement early this week at a contract signing held at the Sagicor Life head office in New Kingston. Further caption details: From left: Donnette Scarlett, Senior Vice President of Group Treasury and Asset Management at Sagicor Group Jamaica, Brenda-Lee Martin, Vice President of Asset Management at Sagicor Group Jamaica, Andrew Foreman, Manager, Legal Services at Sagicor Group Jamaica; Retail Manager at GB Energy Texaco, George Simpson and Kareen Cox, Public Relations Executive at GB Energy Texaco.